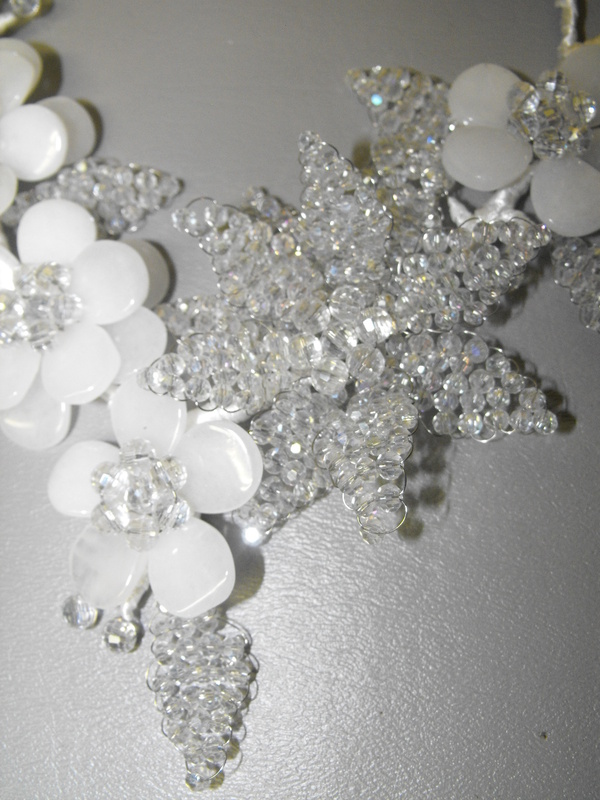 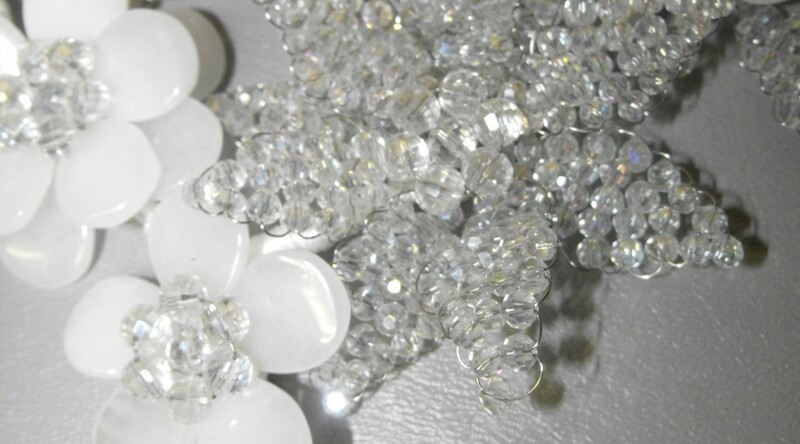 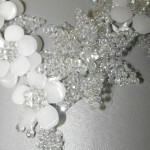 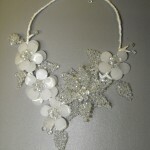 A bridal necklace consisting of 4 randomly placed milk glass flowers accented with clear crystal leaves and a center star medallion of clear crystals……all placed on a white silk track. 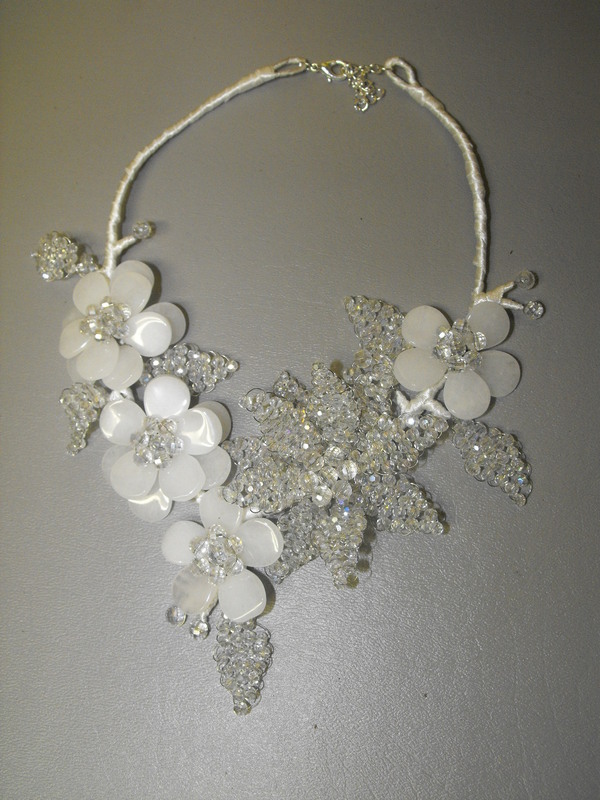 Simple, elegant and very easy to wear. 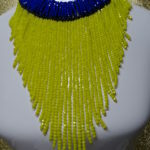 So…..it’s so easy to make a statement with this necklace.